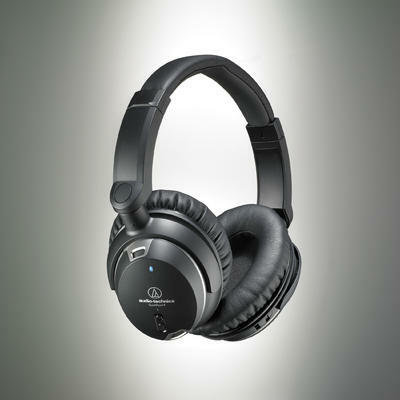 ATH-ANC9 QuietPoint® Active Noise-cancelling Headphones from Audio-Technica use proprietary active noise-cancelling technology to provide a comfortable listening environment in areas with high ambient noise. Delivering noise cancellation up to a remarkable 95%, the ATH-ANC9 QuietPoint® headphones feature Audio-Technica’s new Tri-Level™ Cancellation. 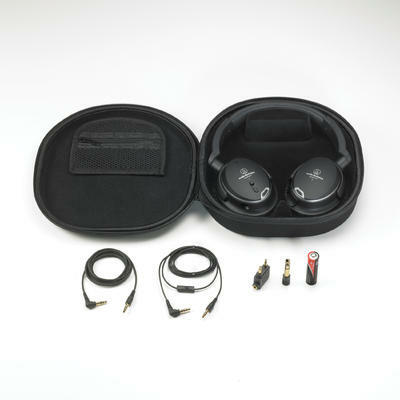 Mode 1, ideal for use on airplanes, trains and buses, applies maximum noise cancellation to low frequencies. Mode 3 ,creates a pristine, peaceful environment ideal for study.